Want to invite Catherine to read/sign books or to take part in a panel or book club discussion? Contact her at cdehdashti@gmail.com. Local author day at Subtext Books, 6 W 5th St., St. Paul, MN 55102. Come and see me, Linda Morganstein, Freya Manfred, Martha Wegner, Kristi Belcamino, Christina Glendenning, and Andrea Gilats. Thursday, Oct. 15, 7 p.m.
Saturday, Oct. 17, 10 a.m. – 5 p.m.
Thursday, Aug. 20, 7 p.m.
Boneshaker Books, 2002 23rd Ave. S. Minneapolis, MN 55404. Cracked Walnut Literary Festival, a multi-venue, multi-day event. Was thinking back on the Cracked Walnut reading from the beginning of May, easily the most talented group of writers I’ve shared a stage with, so I just wanted to stop by and say hi! 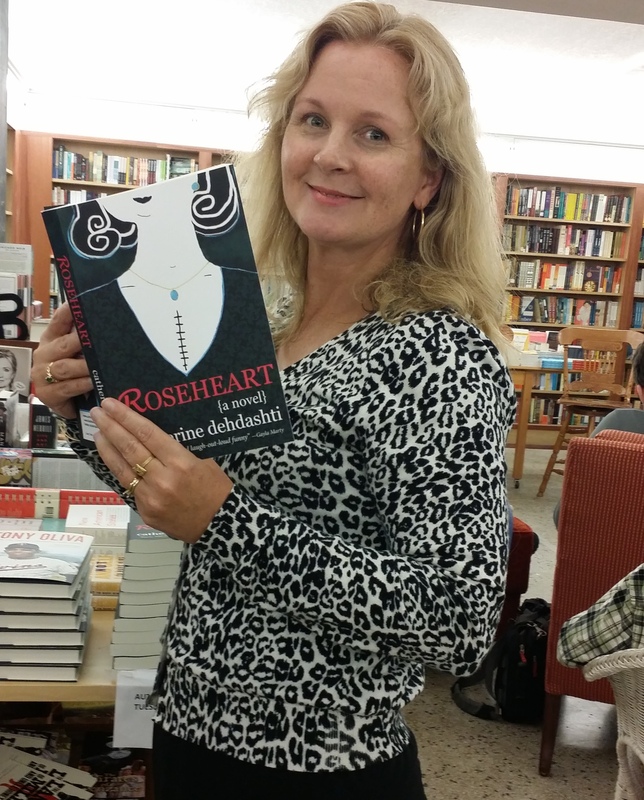 Looking forward to picking up Roseheart the next time I’m at Common Good.